England Netball relies on volunteers to help us in all areas, and they make a huge contribution to the game of netball. Volunteering is a rewarding experience, not only benefiting the club or organisation, but also the individual - developing skills for use at college, university or in the workplace. It's a fantastic way to make new friends, and nothing beats the "feel-good factor" of helping out and giving something to your sport. Please email bcnetballclub@aol.com or contact Di Barber on 07771 851903 for a no-obligation chat. "When I volunteered to be a Little League Netball Manager I didn’t really know what to expect. I certainly didn’t think it would transpire to be such an enjoyable and rewarding experience, or that I would be disappointed to ‘get my Saturday mornings back’ at the end of the Netball season. I hadn’t played Netball since I was at school over 20 years ago and even then I didn’t really enjoy the game as I was the tallest girl in the class and was consequently never let play in any position other than goalkeeper! In fact, I barely remembered the rules. Thankfully, none of this really mattered, particularly as there was such good support available from the Little League Committee, SPORT Birmingham, volunteer umpires, the Coach for the weekly training sessions, and the other Managers. A lot of enthusiasm and a little bit of patience are the only skills you need at the outset – the rest can be learnt as you go along. My main task as Manager involved selecting the team from the players available to me. All of the teams in our League consisted of 10/11 players whereas there are only 7 playing positions in Netball, so I had to ensure that everyone got a chance to play at least half a match each week. Initially it was just pot-luck and negotiation that determined which player was allocated to each position, but as the weeks progressed and I watched the team perform during games and in the weekly training sessions, it became apparent where each players' strengths lay and which positions they favoured. Other tasks included distributing the team kit at the start of the season (and collecting it in at the end), attending a monthly committee meeting and passing on information regarding match times, training sessions, tournaments etc. Keeping the players motivated and encouraging their development was easy because they responded well to my leadership and organisational skills. They quickly bonded as a team and I had massive support from the parents, who all stayed to watch the matches and attended training sessions every week, joining me in cheering the team on from the sidelines. Most of the teams had two Managers, which spread their workload and provided cover in the event of absence/illness. I was initially managing the team on my own (due to a lack of volunteers) but as the season progressed I talked an enthusiastic parent of one of the players into helping me. I was nice to have someone to ‘talk tactics’ with and my Assistant Manager has now become a close friend. In fact, many of the parents are now friends and we have all stayed in contact even after the end of the season. I can honestly say that I didn’t experience any problems whatsoever. I actively encouraged the players to enjoy the game, regardless of the outcome, so even when we lost a match, the team were always very sporting, congratulating their opponents and thanking the umpires - that gave me a great sense of pride. At the end of the season I was showered with gifts and cards of thanks which was lovely, but the fact that all of the players are coming back to continue playing Netball next year is enough reward for me. I have recently enrolled for some Coaching and Umpiring Courses to further develop my skills ready for the start of the new season. Managing a Netball team has been a wonderful experience – and I look forward to doing it all again in 2004! " Pass on your Passion programme is aimed at young people aged 12 to 25 that are actively involved in volunteering in netball whether that's as a coach, official, committee member, event helper, school team helper...the list is endless! The benefits are fantastic!! - You'll get rewards once you've completed 10, 25, 50, 100, 200 and 400 voluntary hours in netball. Not only will you get rewarded for the hours you complete, but just by registering as a member of 'Pass on you Passion' you'll get access to FREE Regional Training Days where top coaches and officials will be on hand to pass on their knowledge, E-newsletters to keep you up to date with the latest information and voluntary opportunities, Invitations to volunteer at National and International netball events. Once you've registered you will receive your welcome pack and logbook. Just log your voluntary netball hours and send back the slips to England Netball to recieve your rewards in the post! It's as simple as that! To register, go to the England Netball website! 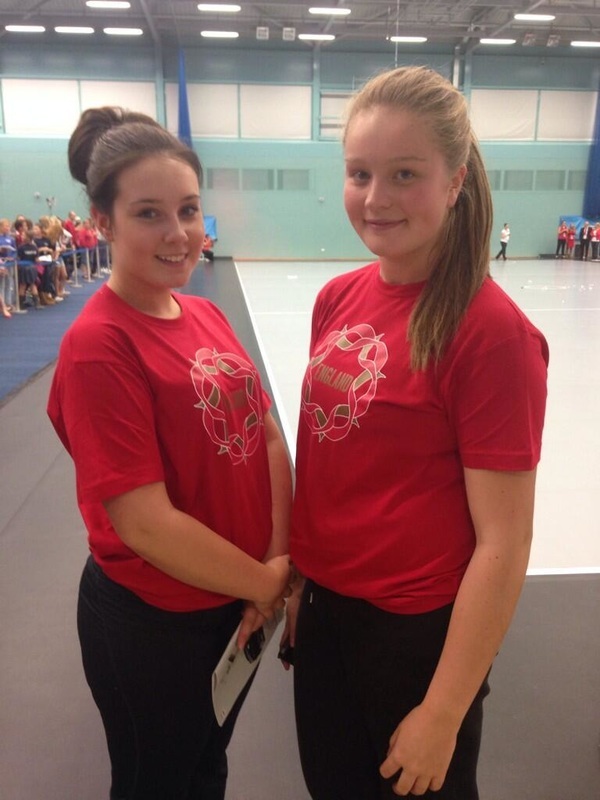 Birmingham Netballers, Emma and Holly are Ball Girls at the England vs South Africa Test Match played at Worcester at the end of September. Both are registered with Pass on Your Passion, a reward programme for young volunteers between the ages of 12 and 25 years. To register, go to the England Netball website! Pass on your Passion Programme gains new volunteers from Birmingham! On 8th September 2013, 31 young people aged between 12 and 16 signed up for the Pass on Your Passion Programme.